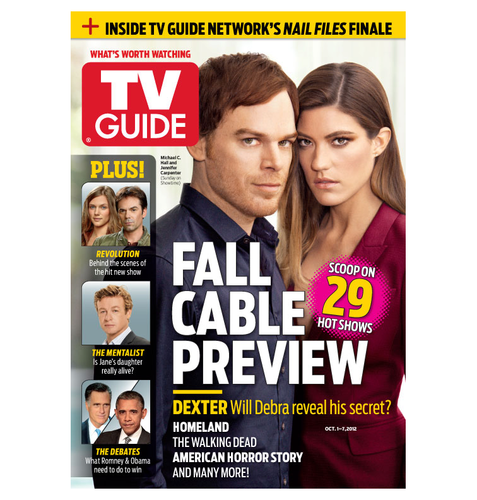 TV Guide Magazine September 2012. 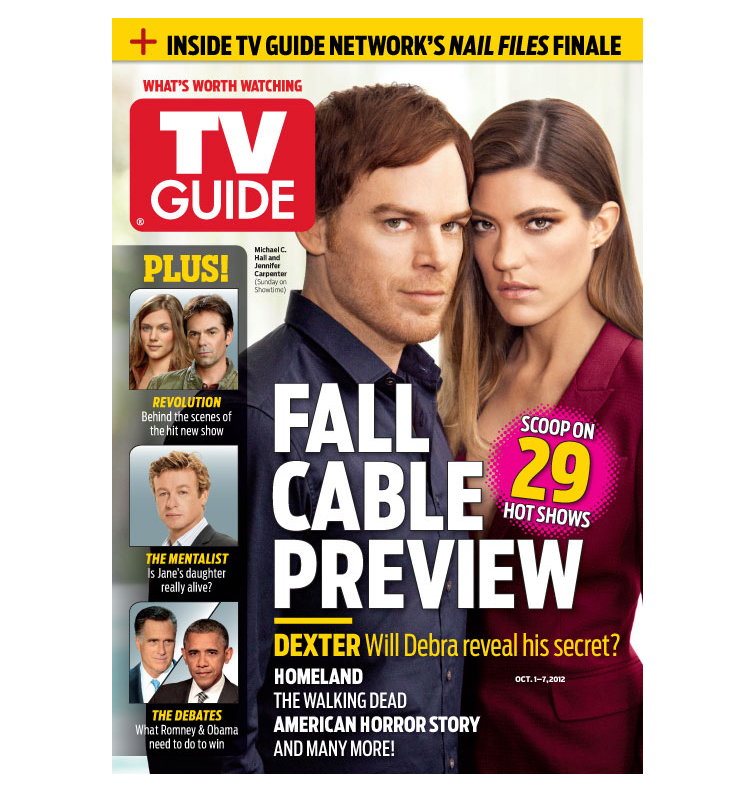 Dexter returns Sunday, September 30 (9/8c, Showtime).. HD Wallpaper and background images in the Dexter club tagged: dexter 2012 tv guide magazine michael c hall jennifer carpenter. This Dexter photo contains anime, komik, manga, kartun, and buku komik. There might also be akhbar, kertas, majalah, tabloid, kain buruk, and muhyiddin. Watch Dexter Season 8: Masterpiece of Twist and Surprises!